Don't be fooled, people. I am still figuring this out. Post-partumwear mostly makes you feel the exact opposite of a million bucks. Negative one million bucks? idk. The other day I bought a pair of super high-waisted jeans sized up (feeling suuuuper confident about the current state of my ppd bod) and lol wouldn't you know the waist barely even came around to the FRONT of my body. Clearly I need to not mess with a button closure yet. Or any closure, for that matter. 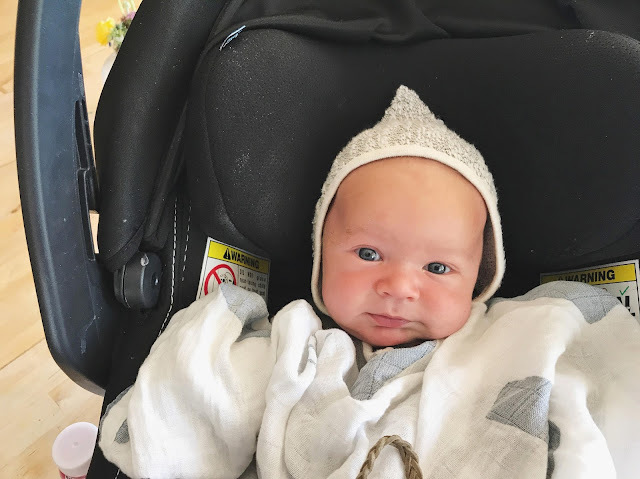 Anyway, here is my quickie postpartum round-up for what IS working for me this 8th go-round. 1. These cropped pants. Super cute fit, lightweight, elastic waist. Get it. 2. This tank top. I have a similar one from Motherhood Maternity and I would wear if everyday if I could. Functions as a nursing bra and spanx so I could not luv it more. 3. Go-To leggings with a high-waist. Give me a high-waist and name it Go-To and you can basically take all my money. But not because these are under $30. 5. This very perfect pencil skirt. It's on sale. Just get it. Don't even think about it. I wear it 4x a week. You will too. 8. Sale again!! This is my fave cardigan. I wear it all the time (pregnant, not pregnant, and beyond) - super cozy, washes well, pockets. Zing! 9. I'm eyeing this skirt... I'll keep you posted. 10. Pendant necklaces. I got this little stack and they are perfect to mix and match for a little extra something. Something about a few extra pieces of jewelry makes me feel 100% happier and at least 80% less frumpy. I highly recommend along with a new pair of sunnies. Oh shoot now I want those :/. Happy Wednesday, beebs! Francie was killing me with cute this am. * *see below. Want to know about how we named our baby? I'm sure you're all brushed up on the minutia of our marital dynamic, so you know that Kirby and I never agree on names. 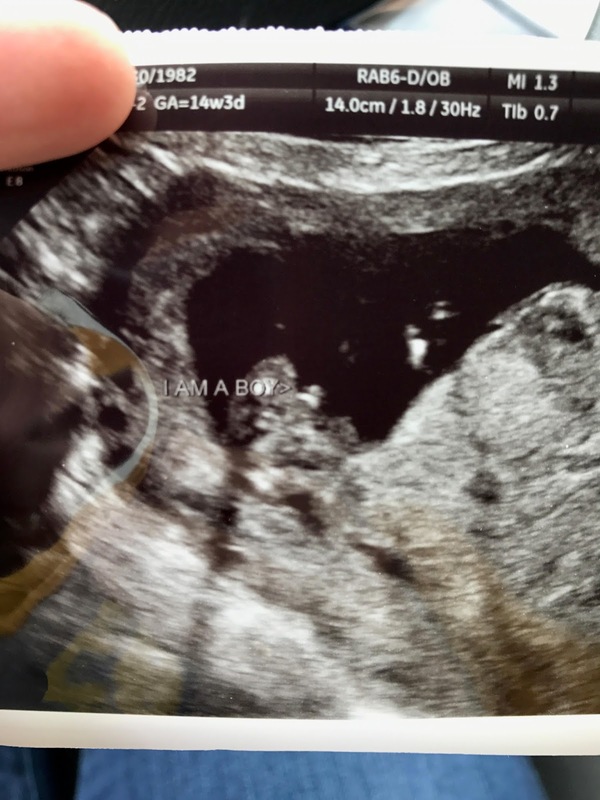 When we found out our baby was def NOT a Guadalupe, I turned to the boy name genre albeit reluctantly. The last thing I wanted to think about was another boring boy name (no offense mostly all boy names). After cross checking our old lists and not agreeing on a single thing, I turned to the queen of names, Kate at Sancta Nomina. She gave us an amazing consultation- so detailed and deliberate. Out of all the really gorgeous names she suggested, I totally fell in love (re-fell in love?) with the name Jasper. Jasper Fike! Strong, classic, sooooo cute. Such a solid bridge name for our quirkier set and the classic boys names. I was sure Kirby would love it. He did not love it. Back to the very first square. I decided to just avoid names for another month or two. In February, Kirby and I went away for the weekend to San Luis Obispo. I sort of made it my goal to settle on a name while we were away. ***Best laid plans*** We had one talk over coffee in which the name Louis came up and for the rest of the time the only name Kirby saw was... Louis. I came back and started to text my friends for ideas but nothing came back that felt totally his. About a month before I was due I decided to reach out to two of my old friends who both have really creative names for their kids. (Plot twist: they are Kate and Natalie Hanson, married to Zac and Taylor Hanson. True! But I digress...) I sent them a few of the names that I loved and they came back with a solid list of suggestions. "Albert. 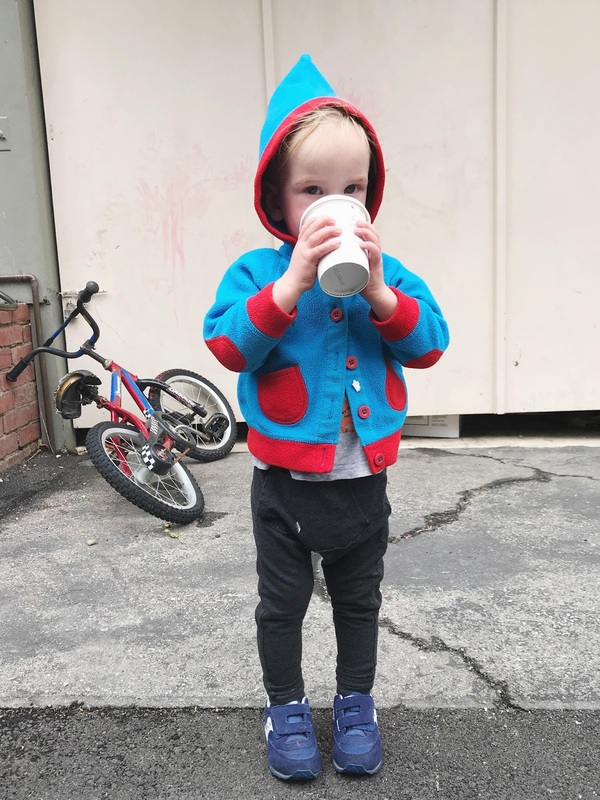 I thought of this one because you mentioned Alfie, and I have to tell you we've almost used this name twice for two reasons: 1) Ezra (Natalie's son) said once when he was little that he thought it would be a nice thing to do to name a baby after Albert Einstein (lol) 2) I am crazy for 'Albie!' I think of the Strokes song. Also, I like how Albie sounds like Kirby. Cute. I think this is one of those obviously classic and on trend names, but that no one is actually using." 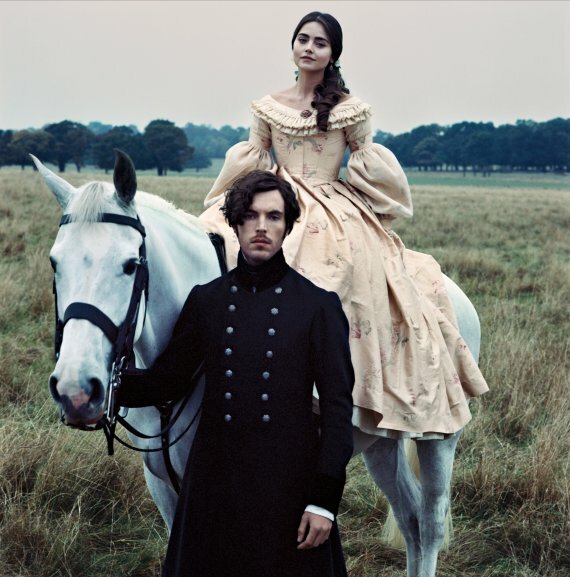 Jenna reminded me that I hadn't watched Victoria yet. If that's not a deal sealer I don't know what is. I spent the last week of my pregnancy straight binging. I know you would have, too. The meaning of his full name is "bright Easter"... truer than true, don't you think? (Isn't it dumb how freaking obvious my blog habits go? Something like get pregnant>die>quit blogging>hate blogging>hate everything>have baby>rise again>desp. to blog>love blogging>love everything) It's my truth and I'm just tryna live my truth, ya'll. I'm sure this all sounds very thrilling and you just can't wait for me to start slapping out post after post but I super duper promise it's all relatively boring. For instance: birth story, postpartum underwear, my new sheets, how many hours a day I clocked in the bathtub during my final trimester, annoying things my kids do, ALBIE. He's the best. 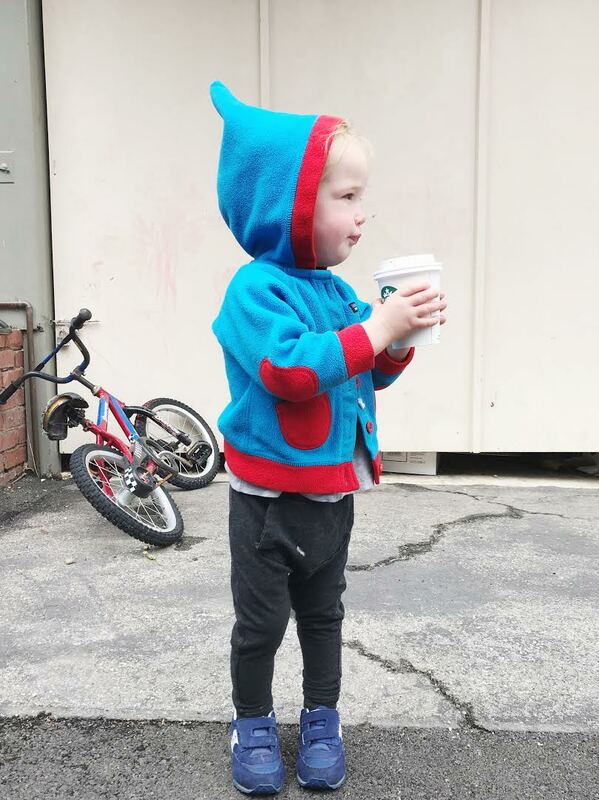 Turns out it was totally worth it to have another baby, guys. Can't believe it surprised me... again. But it did. But another thing is that back when I was in a baby book making mood (10 years ago -_-), baby books were so damn ugly and complicated. There is no other way around it. It feels super weird and cliche to already be able to say "back when I was a first time mom blah blah blah" but it's true!! 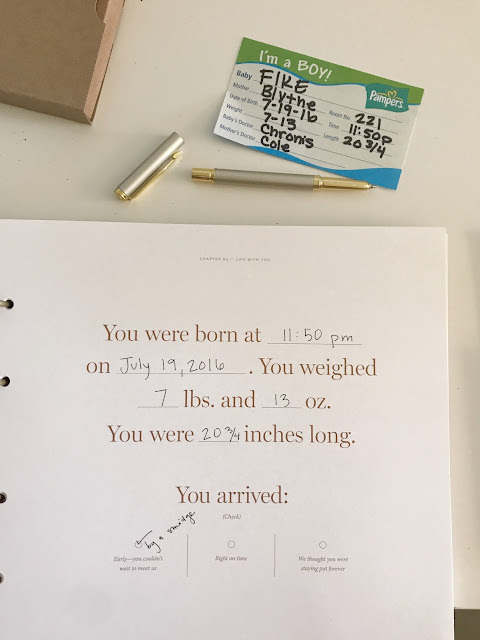 Hero's baby book is like pink gingham with buttons sewn to the cover. Ew. It's not often I am converted back to a more time consuming way of doing anything but here I am, making a baby book!! 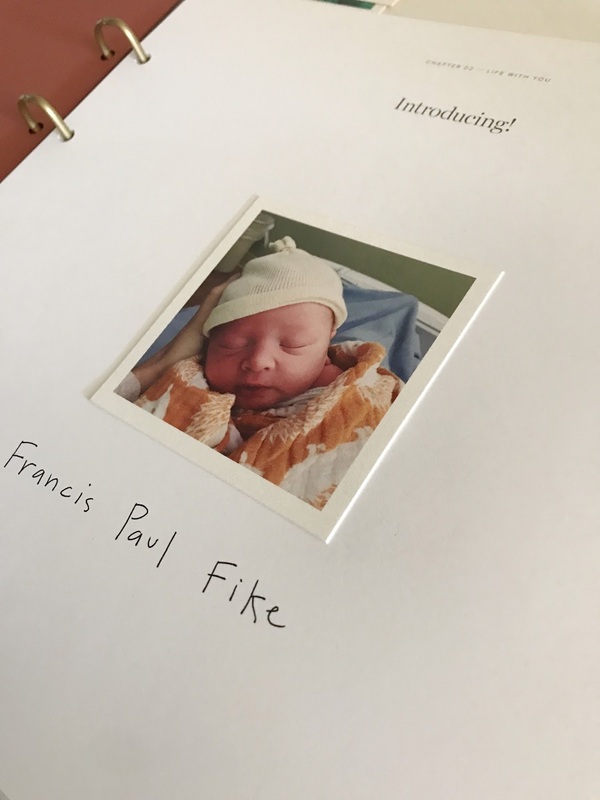 Artifact Uprising has actually managed to make SUCH good memory book for baby that not only have I made one for Francis who was never ever going to have a baby book (FTR) but now I am going back in time to make one for all my other neglected children. True conversion. This is what I really love most about these books- first off, the quality is exceptional (obviously). Not only are the pages lovely and the cover so beautiful you will never let your children touch them but the AU baby book comes with a really pretty ball point pen, double sided stickies for adhering your photos, and a credit for a set of free Artifact Uprising prints, which are really nice prints. Opening the box felt like a freaking spa day for photo albums! Everything is pretty and it's all right there AND they treat you right. So good. Plus, the color choices are soooo pretty. I also love the structure of the book. Some of the prompts were hard for me (IE "you surprised us when..." ???? I have no idea how to answer that) but the 3.25" square photos fit super perfectly right over any prompts I didn't want to/know how to answer. Hack dat! Each section is divided by month and I suppppper loved the simplicity of that. 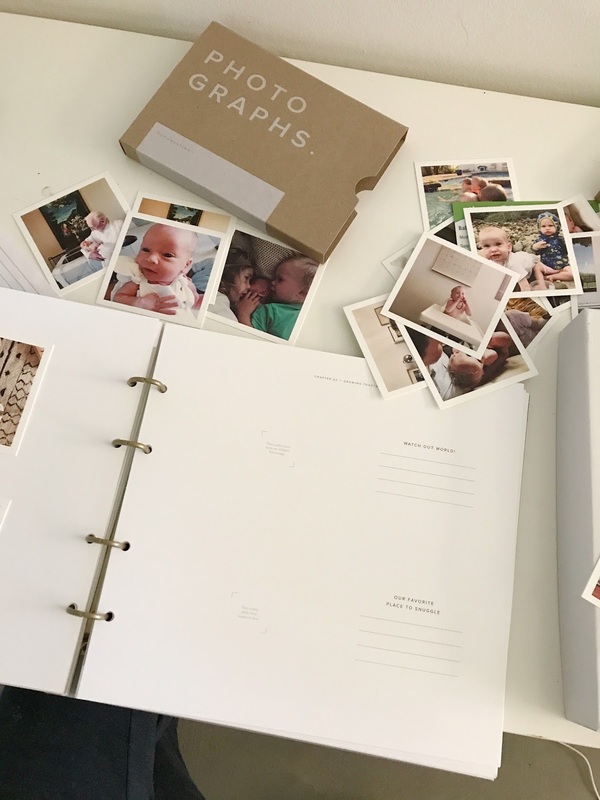 There is really only space for 4-5 photos each month which makes it super doable for the average mom who doesn't have a billion solo photos of their ahem-cough 7th baby. I didn't feel intimated at all about picking a few photos for each month which is KEY for a lady such as myself. Plus, the book is straight up finished at 12 months. You feel like you actually accomplished so much without having to hunt for a lock of hair or something insane. 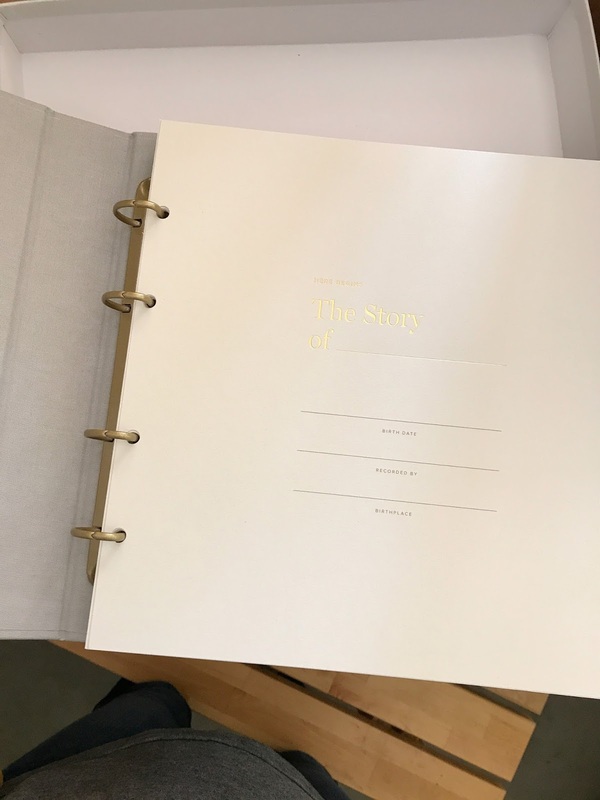 Another XL bonus is that all the pages are held in with a binder-style spine so you can just TAKE out anything that doesn't apply (I didn't even need to though, which is pretty major... I just like knowing the option is there.) Plus with the super easy AU app and ordering interface, it took me like 15 min to sort through pics on my phone, make an album for the Frankie-boy, and get my prints ordered. Believer, ya'll! Welcome to MODERNISM (you already do all this I'm sure). OK SO HERE IS WHAT'S GOOD. 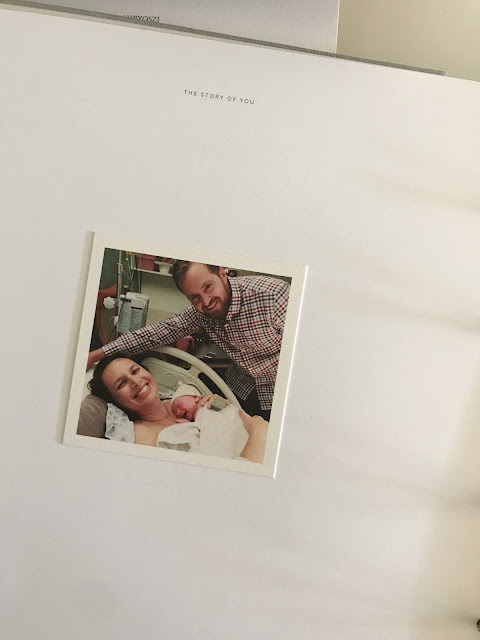 Watching this video on The Story of You to get inspired/cry if you are anywhere near ovulation or pregnancy. 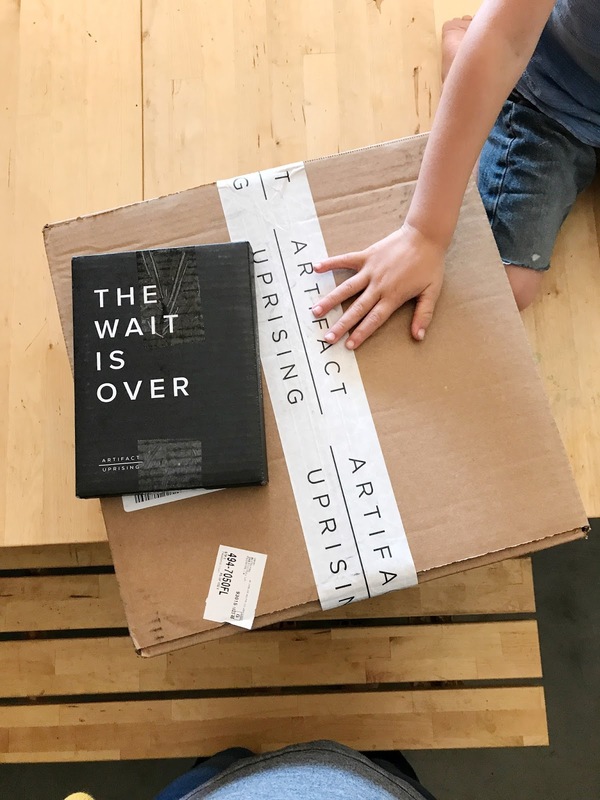 Scoping Artifact Uprising for a book or prints or everything. 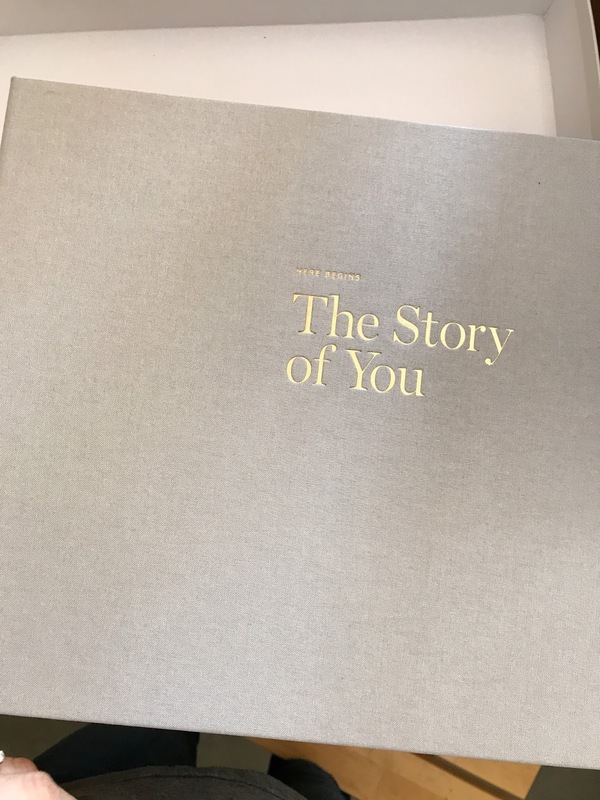 Using this coupon code for 10% off your order TheStoryofYou10 (which really counts when a baby book is pricey). Are you gonna get one? Do you have one?? Which color? Inquiring minds n stuff. 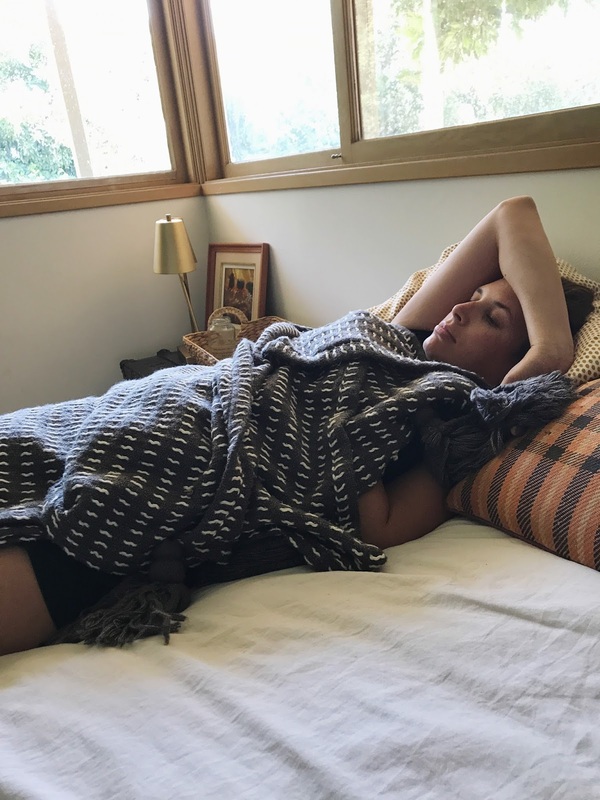 As promised, I wanted to give you the rundown of my survival methods during this hellish first trimester, because this time around I actually had survival methods other than Netflix, my bed, and feeble pleas to the heavens (take me, take me now, etc). I SHOULD have mentioned all of this way back when I was a mere half-life so that all my suffering sisters could have benefited as well but I was so unable to accomplish anything so... I didn't. I'm so sorry if you could have used this stuff but missed out, for those of you that can benefit NOW, or later, or ever, read on. Let me paint the picture for you, pre-Pink Stork. I would wake up > roll over > take a Zofran > every four hours take a Zofran > fall asleep > repeat. The FIRST DAY on Pink Stork (no joke) without even realizing it, I didn't take a Zofran until 3:30 pm. The following day I didn't take one until 5 pm, and then I never took another Zofran again. I wanted to shout Pink Stork from the rooftops but I was still incapable of most things outside of the basics and so I didn't do that but, BUT it took a massive edge off and I swear made life more bearable and more survivable almost instantaneously. I was super faithful with the supplements but only used the tea and the mist as needed, fyi (both included in the bundle I bought). There is another, smaller bundle that I'm sure would help, too, but it did feel comforting to know it was all there if I needed it. So worth a try! The other thing was/is/ever shall be is a whole foods supplement drink called Zeal and I will be damned if I didn't stop and LOL at that right here and now because MLM. I give the majorist of props to people that can successfully market MLM products but I... just... can't. Call it my pride, call it whatever! Of course until I started using it and it actually worked and then I was just like slap me in the face I actually will have more where that came from! Plus, it's hard to deny that certain companies are legit and successful. Hello, Beauty Counter? Hello, Young Living?? Hello, Rodan + Fields!! Hello, I, too, buy this stuff! Anyway, it's super revamped my life. Does anyone else drink it?? I know there are a million of these out there that people love and I have no knowledge of any of them but this is the bomb (says with full authority). I feel like my daily bump (bad drug reference, I realize) gave/gives me the energy, clarity, and, oddly, patience to manage the day waaaayyy more smoothly. It's not something I am promoting just for first trimester but more so for life/mom life/etc (although it did save my life in the first tri). My spiritual director drinks it to manage his chronic knee pain, others use it for help with stress and anxiety, or blood pressure, or milk supply, etc... kind a weird cure all for some. Anyway, it has seriously become my d.o.c., MLM repulsion be damned! 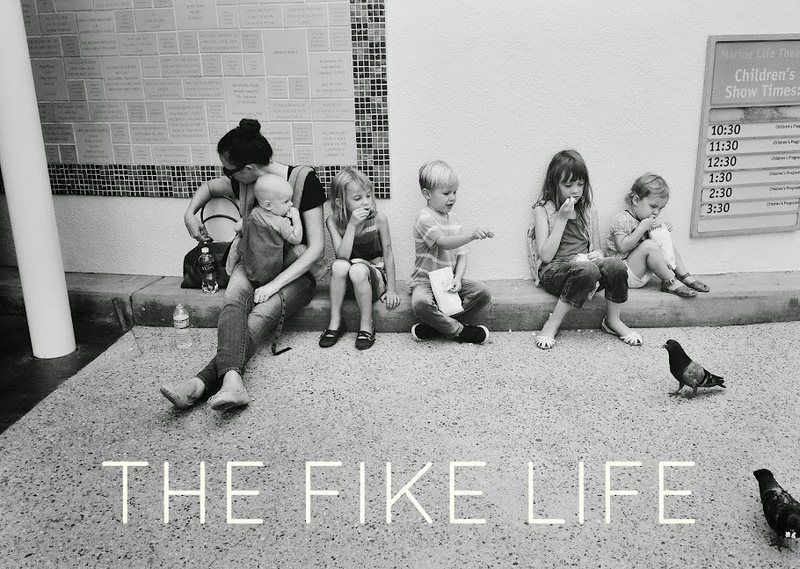 I'm not going to hawk it too much here but if you want more information/feel like you are in need of something like this in your life- feel free to email me (blythefike@gmail.com) I shall do my very best to respond to you like a normal, attentive human being. And there you have it! At the end of the day, pregnancy is survival (can I get an amen?). Even though I lived a lot of life in my bed there is something about finding something that made me feel even a little more normal that restored my hope in all things. If you're there and you're suffering right now, I am so sorry. I'm not going to tell you it will get better because you already know that and it never helps to hear it anyway. ANOTHER BING BONG. 4 in row, 4, 4 and under, 4. (These are the lines running NYSE in my head). Can you believe? Well, yes, dumb question. I'm sure you can. Even I, proud gestating mother of boys, can believe it. I even laughed out loud when I saw that little peep all aglow on the screen. You're a boy, aren't you, you little stinker?? Anyway, I wasn't sad as I thought I would be when I considered the mere possibility of this babe being another boy. I really just laughed, and then I called Kirby and he laughed, too. I'd call it an affectionate tossing our hands up moment for the both of us. A true -_-. A cheeky eyeroll towards the heavens. But there are already little moments making me genuinely excited that this baby is a boy. 1. I realllllllly freaking love my guys. I love our mornings with the kids away at school, I love watching them play, I love spoiling them with "bra-ssants" from Starbucks. I love how terrible they are to eachother and how easily they recover. I love how Francis is already one of the pack. 2. I kinda wonder how a girl would fare around here at this point. Yesterday morning I had just gotten Francis up and as I changed his diaper, Pete and Joe just climbed all over him. Knees in the stomach, elbow in the temple, etc. And he was so happy. Gleeful, even. I imagine maybe a little one year old girl would not be so happy given similar circumstances. and 3. I just know God's plan is so utterly, utterly perfect for me. He knows what he is doing and so I'll just sit and watch the tide roll in. I am a mother of five boys. FIVE! AH! Laugh/cry/repeat/etc. Come at me, little bing bonger.